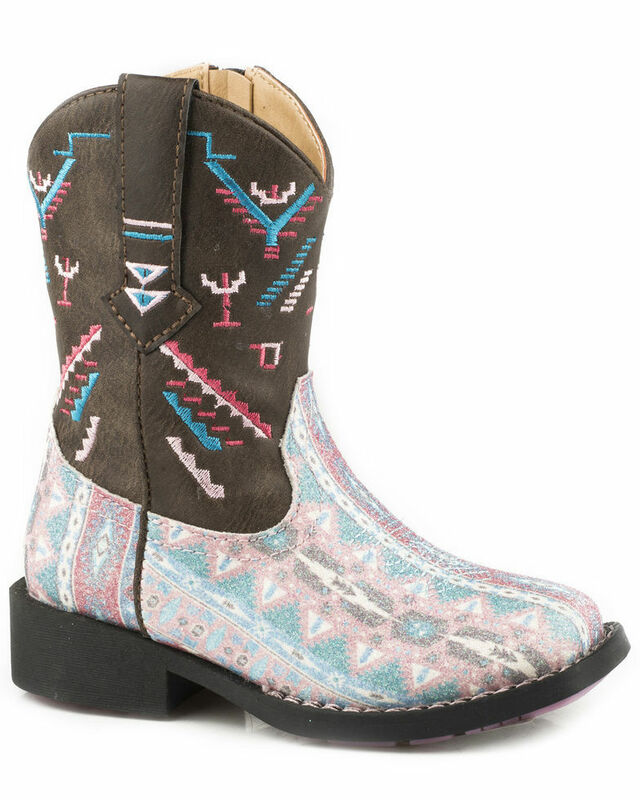 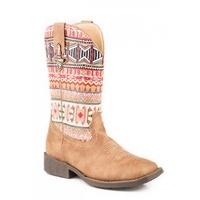 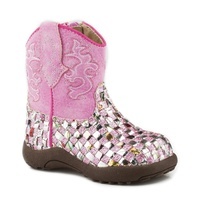 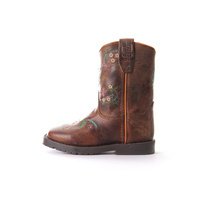 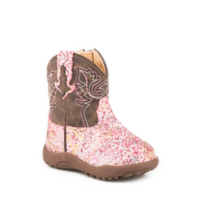 Add a little sparkle to her every step with these pretty glitter cowgirl boots from Roper. 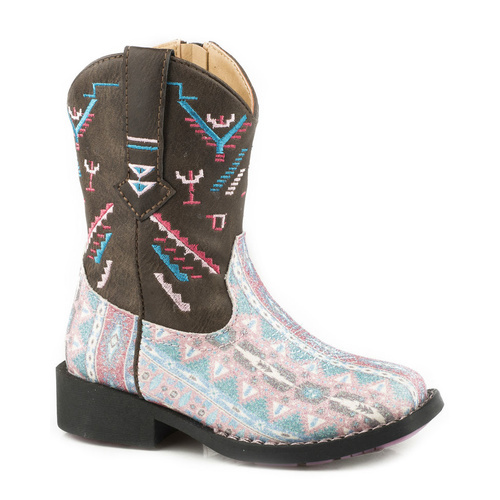 They feature an Aztec inspired design and glittery vamp for a look she's sure to love. 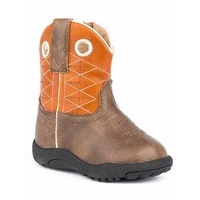 A padded insole and flexible outsole ensure her comfort the whole day through. 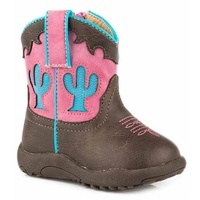 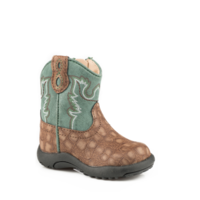 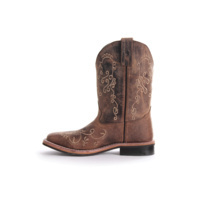 Pair with her favorite denim and dresses for a variety of cute, cowgirl looks.